← Who do they think I am? No sooner had I written a post about the mail I receive with unusual renderings of my name than I get a letter addressed to ‘Lord Norton, Professor Philip Norton MP’. It is possible for someone who has been in one House to then serve in the other, but not to serve in both simultaneously. 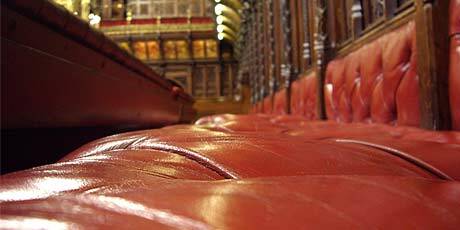 Perhaps it is a case of trying to cover all the bases, but the fact that the name, or rather names, is followed by ‘Member of the Lords, House of Lords’ is rather a giveaway as to which House in which I sit. The names I have shown in previous posts have usually been on letters received from charities. This letter is from a professional body. Hmmm. This entry was posted in Uncategorized and tagged correspondence. Bookmark the permalink. 2 Responses to A split personality? But how professional? Perhaps the “Hmmm” sums it up rather well. The answer there, LN, is to write back and tell them you cannot donate a penny as they’ve definitely rubbed you up the wrong way! And make sure you do it with your full heading embossed across the top to make sure they can’t miss the message.